Easy. You want easy common sense solutions to homeschooling your children and the confidence that whispers, “You are doing a great job”. Peace of mind. You want to sleep soundly at night, with that little bit of drool coming out of the corner of your mouth because you know are walking down the right path with your kids, even if it’s a bit dusty. Company. You’re not the only one on that dusty lonely road. I’m just a bit further down the path, but I left footprints for you to follow or avoid. Homeschoolers are what my son calls “stupid busy”. You do it all: cooking, diapering, taxiing, scheduling, planning, and yes, teaching. You want to grab what you need to succeed in a simple and easy way because that’s all the time they have left in your day- time for simple and easy. Simply choose the topic below that resonates the most with you today. Sound good? 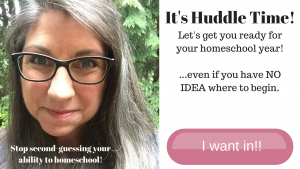 In this FREE part class, you’ll get Key to turning your homeschooling stress into homeschooling confidence. Get on the roster TODAY (it’s FREE!) before the doors close. If you want to stop spinning your homeschooling wheels, you won’t get there by simply buying the curriculum with the highest reviews or signing your kids up for the nearest co-op. You’re already up to your eyeballs in advice for what you should be doing to homeschool your kids: Buy this curriculum! Use this teaching style! Parent your kids this way! Sign them up for classes! More, more, more! You don’t need more on your to-do-list. In this course, we will focus on the HEART of homeschooling. “You shall love the Lord your God with all your heart, with all your soul, and with all your strength. If you’re new to homeschooling, you’ll want the sneak peek class. If you’ve been homeschooling for 1-3 years, the full masterclass is for you! Accountability– Where we tell each other what we’ll be working on and then check in to see how we are progressing over the month. Strategy sessions where we work together to come up with a workable plan for whatever stage you are in currently. Deep Dives where we dive into a topic that is needed for our group. My Full A Better Way to Homeschool Academy is here.